Hello Dies R US Friends ! Maryvonne with you today for a Quick and Fun Christmas card ! 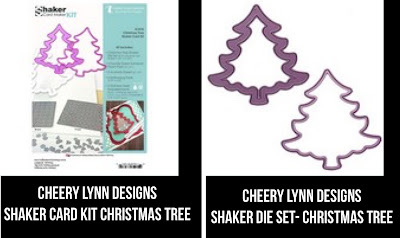 Cheery Lynn Designs Shaker Die set Christmas Tree . and fun card in a very short time. Don't forget to come join in the fun at the Dies R Us Challenge Blog. There's a new challenge theme offered on the 1st and 15th of each month and one lucky randomly drawn winner will receive a gift voucher prize to the Dies R Us Store. 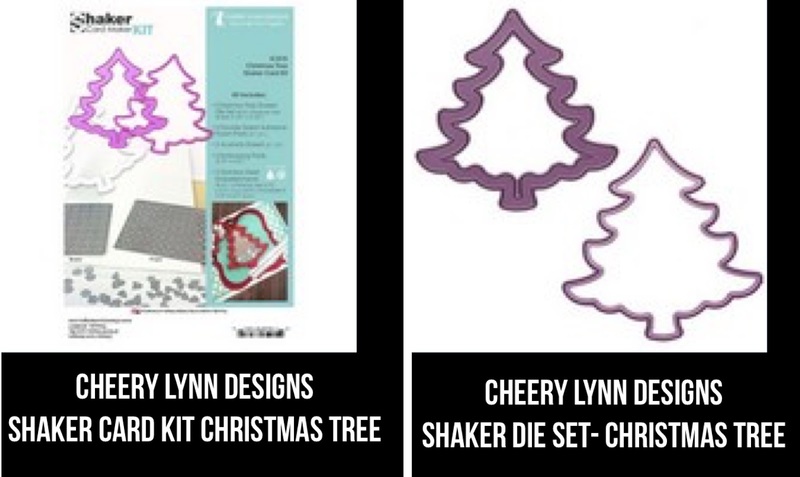 I love shaker cards and this one is so special for the holidays! Thanks for inspiration Maryvonne! Shaker cards are so much fun to make and receive. This is such a great shaker card, Maryvonne! So many fun details! What a cute shaker card! The poinsettia flowers are a nice touch!